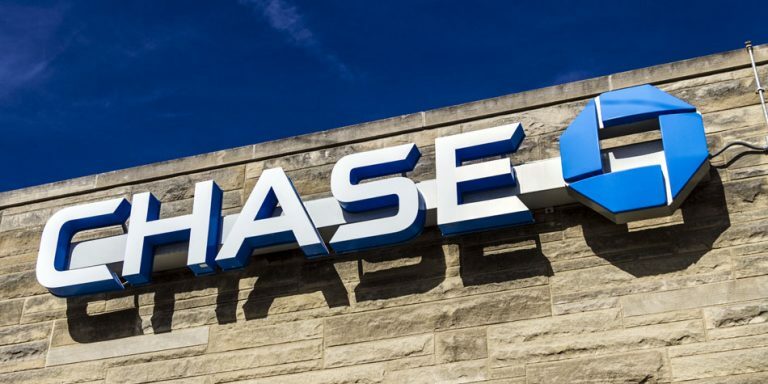 Home / Stock Picks / Stocks to Buy / JPMorgan Chase Beats on Earnings, But Will It Matter? JPMorgan Chase Beats on Earnings, But Will It Matter? Once again, JPMorgan Chase (NYSE:JPM) has handily beat earnings estimates. JPM earnings for the second quarter came in nicely ahead of consensus. Revenue more than $1 billion higher than expected and EPS was 7 cents ahead of the Street. And once again, the market has shrugged. JPM stock actually is down modestly in Friday afternoon trading, while markets as a whole have risen. That’s admittedly better than peers. Wells Fargo (NYSE:WFC) is off almost 1%, and Citigroup (NYSE:C) trades down about 2% as of this writing after reporting mixed earnings themselves. PNC Financial (NYSE:PNC) similarly posted a huge beat – and has gained less than 0.3%. But the decline in JPMorgan stock is a surprise given the broad strength shown by JPMorgan Chase in the quarter. And it’s part of a pattern that has proven a drag on JPM, and other big bank stocks, over the past few months. Earnings are stronger – and investors don’t seem to care. JPM earnings seem like they should have moved JPM stock higher. So-called managed revenue of $28.4 billion was $1.1 billion better than consensus, rising 6% year-over-year. EPS of $2.29 was 7 cents better than expected, rising an impressive 26% year-over-year. The results shouldn’t necessarily be a surprise. It’s the tenth consecutive time JPM earnings have come in ahead of the Street — and all 10 have been solid beats. (Q2 is actually tied for the smallest beat of the group.) And looking closer, it seems like pretty much all good news. In Consumer & Community Banking, revenue rose 10%, with net income soaring 53%. Higher net interest income, thanks to higher interest rates, was a major driver. But credit card growth continues – and credit loss provisions came down. The investment banking business continues to outperform. Revenue grew 11%, with earnings up 18%. JPM continues to take share from rivals like Bank of America Corp (NYSE:BAC). Credit loss provisions did rise, reversing prior-year (and prior-quarter) trends, but only modestly. Commercial banking rose. The wealth management business expanded revenue and margins. Across the board, this seems like an outstanding quarter. So why is JPM stock down? The issue seems to be a lack of confidence in the sector as a whole. Big U.S. bank stocks have pulled back of late, with JPM touching a seven-month low earlier this month. That trading appears to be a “sell the news” reaction to financials. After all, big banks — including JPMorgan Chase — rallied strongly after the November 2016 U.S. presidential election. There were plenty of reasons. A corporate tax cut could help earnings and drive activity among corporate clients. Interest rates likely would finally rise from near-zero levels that had pressured net interest margins. Dodd-Frank could be weakened – or even repealed. With a strong economy and seemingly some room left to run in the recovering housing market, the sector simply had a number of tailwinds at its back. That question is worth asking. The big tailwinds are being reflected in current results but they’re going to fade. Big U.S. banks, including JPMorgan Chase, are going to have to get back to grinding out earnings growth through sales execution and careful risk management. That said, these banks, including JPM, look priced accordingly. JPM now trades at well less than 2x tangible book value, easily its lowest multiple so far this year. An 11x forward EPS multiple prices in both slower growth and the risks of the macrocycle ending sooner than expected. It’s true that some of the factors driving Q2 growth — notably on the tax side — are going to have to be lapped in 2019. But JPMorgan still is taking share in investment banking. It’s taking share in credit cards. The business is running exceptionally well – and investors seem to be overlooking that fact. BAC long has been my favorite stock in the sector; but JPM, at these levels, is up there as well. I still think it’s one of the best S&P 500 components to own, and as I wrote back in March there’s more upside on the way. But coming out of Q2 earnings, the bull case here may require some patience. For now, investors seem focused on the risks and it might take some time for them to start considering the potential rewards as well. Discovered almost by accident, Louis Navellier’s incredible trading breakthrough has delivered 148 double- and triple-digit winners over the past 5 years – including a stunning 487% win in just 10 months. Article printed from InvestorPlace Media, https://investorplace.com/2018/07/jpmorgan-chase-beats-earnings-will-matter/.